My carpets desperately needed cleaning, and you were recommended. I’m very pleased. They look a thousand times better. I had just moved house and ACS were recommended to me. The results were amazing, fantastic and like new, much better than I expected. I will recommend your service. I chose you because of your special offer, and I am very pleased. It was excellent service, but you could improve by letting me know if you are going to be late. My carpets look virtually new. You were very helpful and gave an excellent service. My carpets needed cleaning as I was moving into a new home. They look much better than I expected, 100% better. And the price was excellent. Very friendly, your honest and upfront technician is a magician! How he got the unpleasant stains up, on what must’ve been a tough job, is nothing short of magical. There were several, genuine “Wow” moments. I can see why these guys are so popular! So incredibly grateful. Will be having the rest of the bungalow done later! So happy!  Punctual and friendly.I wanted my carpets and upholstery to look good for the winter and thought your estimate was reasonable. The results were much better than I expected. They look really nice. I’m very pleased. The operator was punctual and friendly. I can’t think of anything you could improve. Brilliant!I had a water leak and you were recommended. I’m very pleased. My carpets look brilliant.I liked everything about your service. Brilliant!Dry so quickly.I was expecting visitors and needed my carpets clean. My carpets look very good and I like how the carpets are dry quickly. The carpets look brighter and brought the pile up. I’m very pleased. Like new!I have used your service before and you are very professional. My carpets look like new. Excellent, I am very pleased with the work you did . I would recommend you. Much better than I expected. I was impressed with your service. The results were much better than I expected, a great improvement. I use you to clean an antique settle before and have just moved into a new property. The carpets look significantly better after cleaning. Excellent service. I was recommended to use you and I’m very pleased. You were prompt and professional and I can’t think of one thing you could do to improve your service. Practically New! I liked the quality of the work done, my carpets look practically new! 100% Better! An excellent result that I had not hoped for as the carpets were in a poor situation. They look 100% better. My carpets look very good and the technician was very helpful. Quick And Easy, I’m very pleased. You made everything quick and easy. The results were much better than I expected. I like everything about your service. My rugs look like new. You Got The Stain Out! You removed a horrible coffee stain from my carpet and I’m very pleased. My carpet looks vastly better than before you cleaned it. Reliable, I found you by chance, but I’m very pleased. My carpets look clean and you are reliable. Very pleased! My carpets really needed cleaning! I’m very pleased. They look much cleaner. I can’t think of anything you could do to improve your service. Excellent service. I needed my carpets cleaning due to a change of tenancy, and you were cleaning carpets in the building already. I am very pleased. My carpets look almost brand new. Your service is excellent. My carpets look brilliant.I will use you again. I am very pleased. The results are much better than I expected. You couldn’t do anything to improve the service. The carpets look excellent. I liked the technician, he was polite, friendly, helpful and professional. …very pleased. The carpets look much better, better than previous clean with another company. I would recommend you. I was recommended to use you after a water leak. The carpets look brilliant. I’m very pleased. I don’t think you can do anything to improve your service, I liked all of it. I had heard good reports about you, and I am very pleased. The results were much better than I expected. Everything was excellent. I have used you before and you are efficient and prompt, friendly and helpful. I am very pleased. The results were much better than I expected. The carpets look as new! Very Pleased. The results were much better than I expected. The carpets look fantastic. You couldn’t do anything to improve your service. I am newly moved in and you were recommended by a friend. You were very friendly and very efficient. The carpets look very much improved. I’m very pleased. Excellent service. Friendly, polite, helpful. I’m very pleased with the work done. Excellent service. Added a star! Superb, wow. Very polite and pleasant man. Brilliant. Much better than I expected, and very helpful. I will use your service again and recommend you. Carpets look 100% better. Excellent service. Five stars. I recommend your service, my carpets look like New. Friendly, helpful and polite. I’m very pleased. I would use your service again. The results were much better than I expected. The carpets look great. Your service is excellent. We are very pleased with the work done. The carpets look excellent. Excellent service, professional manner, treated my home with respect. Five stars. The results were much better than I expected, the carpets look brand new. I would recommend your services. On time, very helpful, excellent service. I would recommend. I had my stair and landing carpets cleaned recently and what a difference! The service was fantastic and I will now always use this company and will recommend to my friends and family without hesitation. We have been using ACS for several years and find them exemplary. We recently had Lily pollen stain our cream carpet and was convinced we would need to replace. Yet again ACS cleaned it up as good as new. Cannot recommend this firm enough. Brilliant!! !